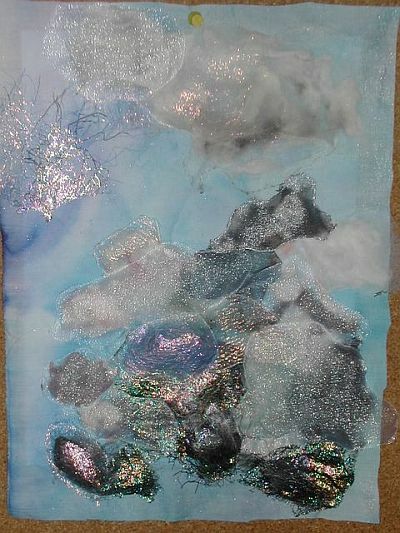 This is my clouds piece when I had it pinned and initially stitched down. I had a lot of trouble with this piece. Not sure about it at all. I think it will be a lovely piece. Previous PostPrevious Water quilt finished!